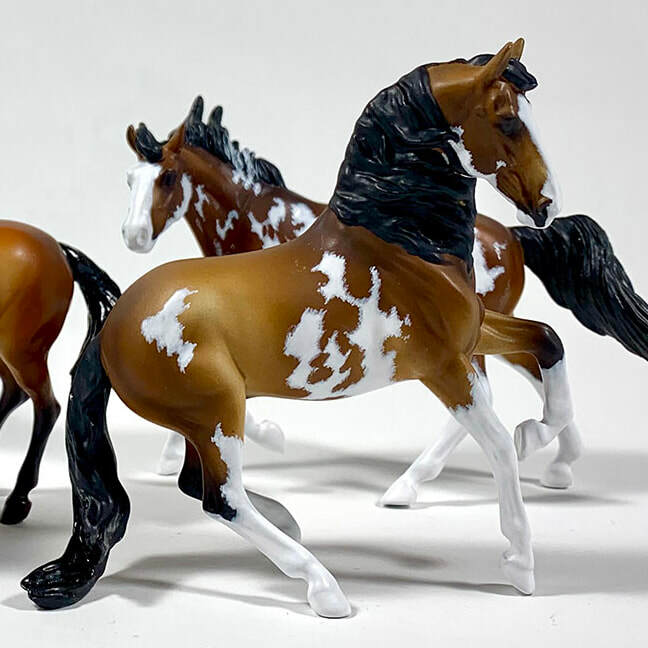 Available Custom Model Horses - Blue Mountain Stable Stablemate customs and painted artist resins by Blue Mountain Stable. Tips, works in progress, tutorials and live show updates. Nearing completion of sabino white markings and details, this luscious sandy bay on the new Breyer Alborozo will be available soon! Follow my social media for more announcements as we near his sale date. He is painted in lovely airbrushed bay with hand painted acrylic details and painstaking hair-by-hair pinto markings for the most eye-popping details. 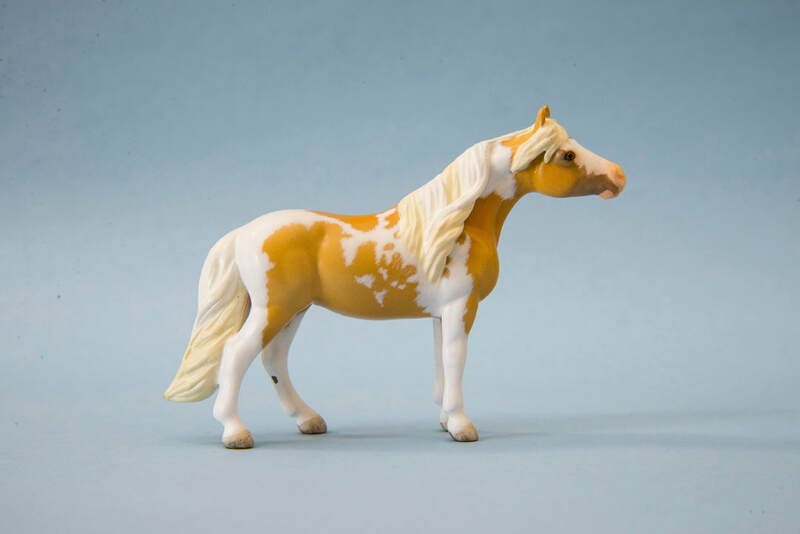 CM, one of a kind Breyer SM G3 Highland Pony, now a Miniature Horse in tobiano palomino. Qualified for North American Nationals (NAN) at her very first show (the huge and competitive Rocky Mountain Spring Fling 2018). She is recently completed by Kristen Williams of Blue Mountain Stable and is a fresh face in the show ring. She has been drastically resculpted to have a longer back, more accurate belly, entirely rebuilt and new neck, new mane, and refined legs. Her feathery fetlocks, seams and brand name were removed. Her paintwork was created in airbrushed acrylic with painstaking hand-painted tobiano pattern and details. She even has painted hoof details underneath her hooves! Glossed eyes, hooves and nostrils. She has been sealed in protective satin/matte spray and she has been signed and dated by the sculpting/painting artist.